Having spent over 4 months on Billboard charts so far in 2017 for my two singles ‘Mayday’ and now ‘I Got You,’ I’m blown away by the support of my fellow DJs, Billboard reporters and friends. In addition, I have charted as a remixer this year on another release that hit Billboard’s Dance Club Charts. When this year is all said and done, I will have been attached to records that have spent more than half of 2017 on these coveted weekly charts. Both in print and online. It blows me away. Billboard defines the chart I am currently on as, “This week’s most popular songs played in dance clubs, compiled from reports from a national sample of club DJs.” Which means the current love my track is getting is entirely thanks to my colleagues. The DJs that report on this chart are a large group of some of the most respected and seasoned DJs in our industry. From international DJ tours to Grammys for their productions to world renown radio shows, they are all people I look up to and admire. 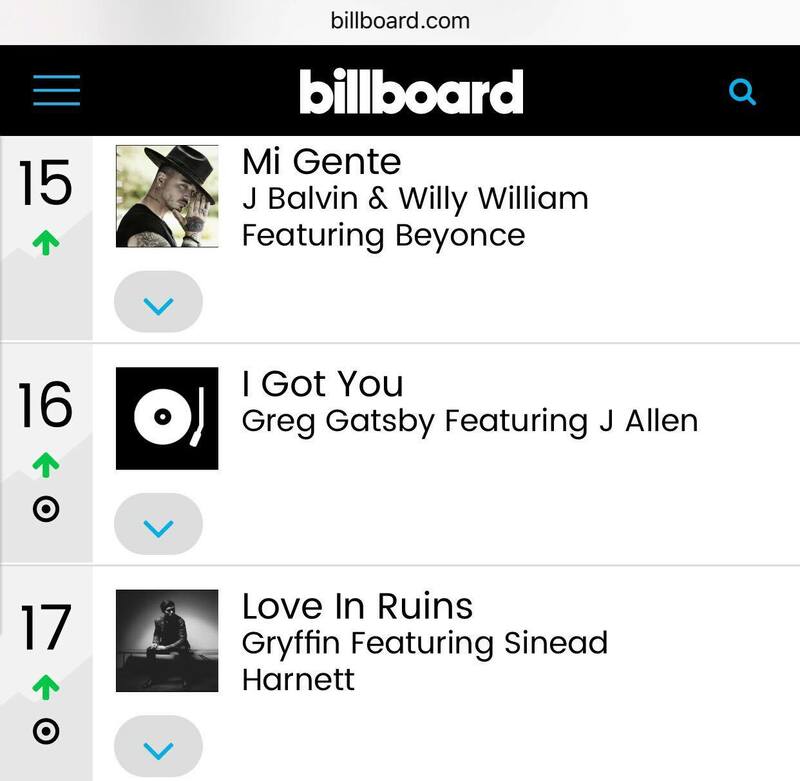 Thank you so much for your recognition of ‘I Got You’. Recognition like this is more than I could of ever hoped for and I’m so thankful to all of you. It wouldn’t have happened for me without the guidance of 418 Music’s head, Gino. It wouldn’t have happened without Bobby Shaw’s promotional efforts or without the amazing remixes, which I have linked each remixers Beatport page at the bottom of this blog post. It wouldn’t have happened without the collaborators, engineers and studios helping with writing, mixing, recording or mastering these projects like Richard Fraioli, Cip Split2nd, Maradonai, and Eric Mitchell Audio. It definitely doesn’t happen without the incredible song writing and vocal abilities of Camila and J Allen. Being surrounded by so much talent, having these artists trust in my vision and give me their very best has been my greatest fortune. As always I owe everything leading up to this point to my family for their support, my few but amazing fans for spreading the music and my team (Michelle, Kevin, Dan, Mike, Matt) and management (Sam and Ashwin) for helping guide and create opportunities. We all share in this. Thank you from the bottom of my heart. We’re #16 this week baby!! !